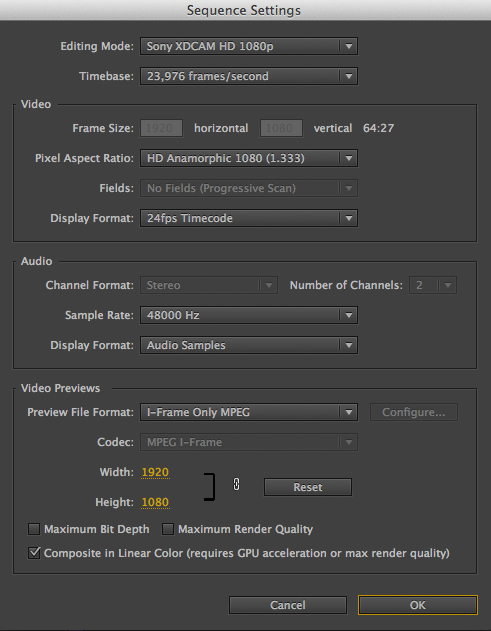 Hiero XML imported to Premiere – weird sequence settings, clips scaled to “nan” and a black program monitor. 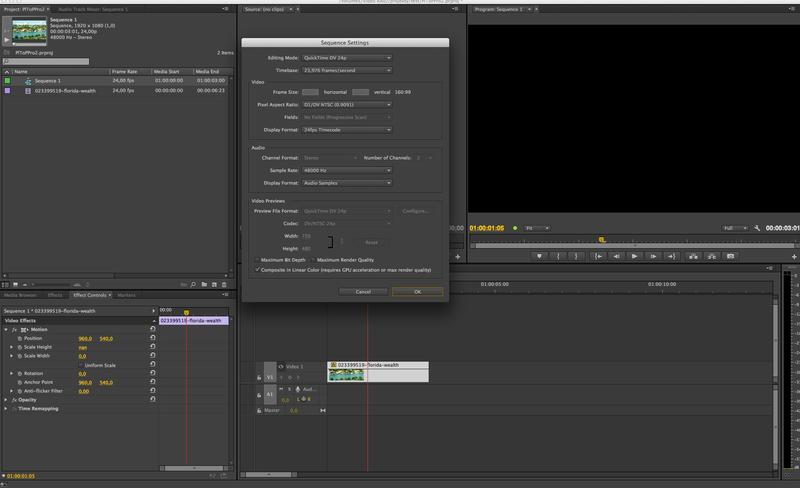 How Premiere comes up with these settings, especially the weird pixel aspect ratio, is beyond me. You can tell it to your heart’s content that the pixels are square, and that the resolution is 1920×1080, it knows better. 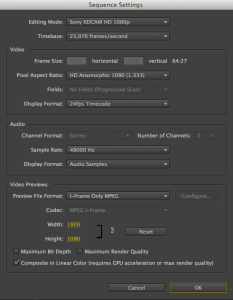 The only solution to this problem I came up with was to change the sequence settings within Premiere itself, after the XML is imported. Why, oh why? 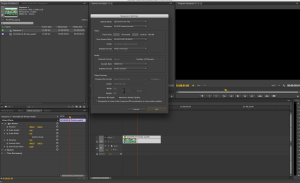 This unfortunately speaks to my frustrations to get Premiere to import the sequences and files correctly. The ball here unfortunately seems to be in Adobe’s court, because the very same issue – except perhaps the missing <pixelaspectratio> tag – troubles XML exported from Resolve. Premiere simply does not respect the information that is in the file. Tagged Adobe, FCP XML, Hiero, Premiere Pro, Resolve. Bookmark the permalink.